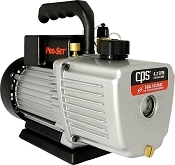 Brushless DC-driven 6 CFM Vacuum Pump Weighting only 25.4 lbs. 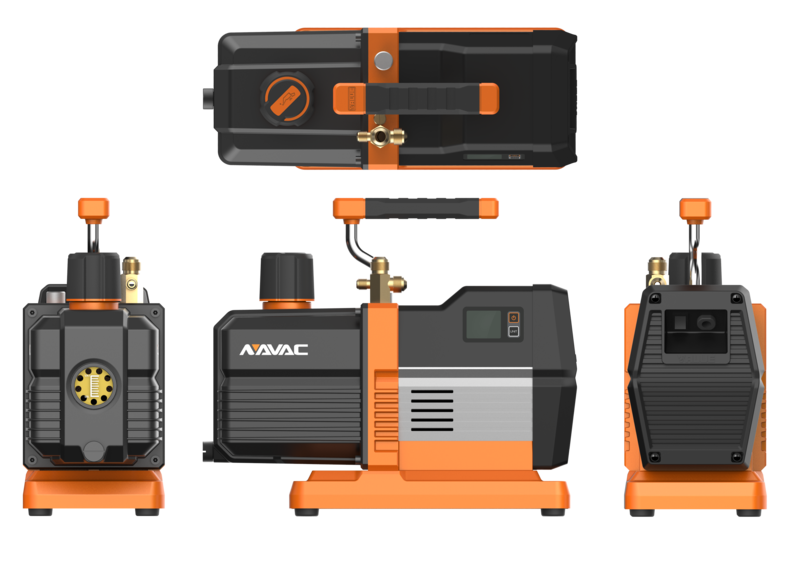 Industry first Brushless DC inverter-driven vacuum pump provides high-efficiency and one of the lightest vacuum pumps in its class. It saves energy and makes it easy to carry. 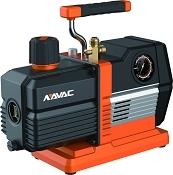 Despite of its light weight, this vacuum pump is nonetheless powerful with twin-cylinder ensuring best-in-class ultimate vacuum at 15 Microns. Featuring a digital control interface, the unit offers unsurpassed intuitiveness with features such as task reminder, extended evacuation for improved vacuum, and precision vacuum measurement down to micron levels with LCD digital display. 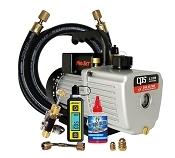 The automatic solenoid valve prevents oil back and reduces vacuum decay during a power outage or accidental shut off. 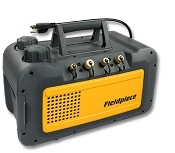 It’s particularly useful when an extended evacuation is needed for deep vacuum or large HVAC systems with long pipe lines, so that whatever vacuum level achieved before the power outage would be largely preserved. 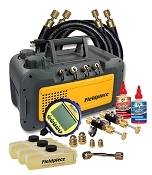 This product comes with other features and benefits, such as large oil tank at 20 oz capacity extending usage time between the oil changes, Recessed power switch protecting it from tripping and rain, and gas ballast for evacuating systems with high moisture content. It comes with ¼”, 3/8” and ½” inlet ports. Q: What is the warranty on the Navac vacuum pumps? 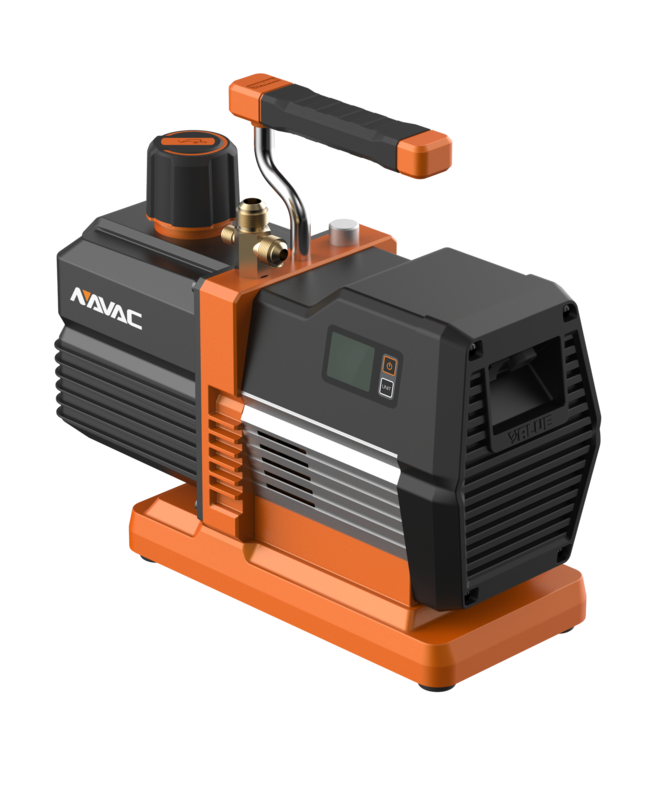 NAVAC Digital Vacuum Pumps carry a 24 month warranty from date of purchase, and NAVAC Mechanical Vacuum Pumps come with a 12 month warranty. This NRP6Di would qualify for the 24 month warranty. 572 TruReward$ points will be placed in your account when you buy this item.